Bamboo and rattan are astounding resources with unique potential to combat poverty and natural resource challenges. They grow locally to some of the world’s poorest communities in the tropics and subtropics, and have many uses, providing a vast range of sustainable products, livelihood options and ecosystem services. If we can harness the potential of bamboo and rattan, the Global South will be closer to achieving its ambitious development, climate and environmental aims, including the Sustainable Development Goals, green growth, REDD+ targets, the Paris Agreement commitments, and the Aichi Biodiversity Targets. What is bamboo and where does it grow? Bamboos are part of the grass family Poaceae. There are 1642 known species, which occupy a broad range of environments across the world, largely in tropical to warm temperate ecosystems across Africa, Asia and Central and South America. In 2010, the Food and Agriculture Organization estimated that bamboo covered over 30 million hectares of land across the world. Although bamboo is technically a grass plant, it can grow up to 35 metres tall and 30 centimetres in diameter. Bamboos also include some of the fastest growing plants in the world: certain species grow up to 91 cm a day. Its fast growth, quick maturity (within four to seven years) and wood-like nature make certain species of bamboo an excellent material for housing and scaffolding. Since the 1990s, new technologies have also enabled the use of bamboo as a source of paper, packaging, furniture and fabric. Aside from its socio-economic benefits, bamboo is a key part of biodiverse ecosystems. The giant panda, red panda, mountain gorilla, bale monkey, and the greater bamboo lemur are just some of the animals that rely on bamboo for food and shelter. Bamboo’s extensive root systems mean that it binds soil and can raise the water table, making it an important part of anti-desertification projects around the world. There are thousands of uses for bamboo, which make it a strategic resource for at least seven of the UN Sustainable Development Goals. For more information about bamboo’s usefulness to sustainable development objectives, please browse our work. What is rattan and where does it grow? Rattans are spiky climbing palms. There are 631 known species of rattan. Rattan species typically have strong, solid stalks that grow several centimetres thick in diameter, and the leaves have barbed tips that support the plants to climb over trees and other plants toward the sunlight in the rainforest. Most rattans are native to the tropical regions of Africa, Asia and Australasia, but the majority of rattan grows in Indonesia. Rattans can grow several hundred metres long. The outer stem is hard and durable, but also very flexible, making it an ideal material for furniture, baskets, and handicrafts. Rattan grows all year round, and withstands heavy harvesting, making it a sustainable year-round source of income for many rural communities. Certain rural communities in Cambodia, Laos and Vietnam rely on rattan for around 50 per cent of their cash income. How much is the bamboo and rattan sector worth? The bamboo and rattan sector is estimated to be worth USD 60 billion a year. China has the world’s largest bamboo and rattan sector, with a total estimated output of USD 32 billion a year. Globally, the annual international trade value of the bamboo and rattan sector is estimated to be USD 2.5 billion. As the International Commodity Body for bamboo and rattan, INBAR produces annual reports on the state of the global bamboo and rattan sector globally, and in China. For more information on international bamboo and rattan trade, read here. What does the International Bamboo and Rattan Organisation do? The International Bamboo and Rattan Organisation (INBAR) was founded in 1997 as an intergovernmental organisation, with a mission to “improve the wellbeing of producers and users of bamboo and rattan within the context of a sustainable bamboo and rattan resource base by consolidating, coordinating and supporting strategic and adaptive research and developments.” Currently, INBAR works within the framework of the UN Sustainable Development Goals, promoting the use of bamboo for goals including poverty alleviation, environmental protection and climate change mitigation. INBAR is a multilateral development organisation of 45 Member States for the promotion of bamboo and rattan. In addition to its Secretariat headquarters in China, INBAR has Regional Offices in Cameroon, Ecuador, Ethiopia, Ghana and India. Almost all of INBAR’s Member States are bamboo- and rattan-producing countries from the Global South, making INBAR an important mechanism for South-South cooperation. INBAR is an Observer to the UN Framework Convention on Climate Change, the UN Convention on Biological Diversity and the UN Convention to Combat Desertification. In 2017, it became an Observer to the UN General Assembly. 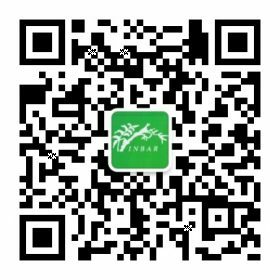 INBAR is also the International Commodity Body for bamboo and rattan under the Common Fund for Commodities, and works closely with the International Standardization Organization, supporting the establishment and promotion of manufacturing standards for bamboo and rattan products. For more information about INBAR’s structure, please read our Governance page. For more information about INBAR’s work with bamboo and rattan, please read here. How is bamboo useful for climate change mitigation? Bamboo is one of the fastest growing plants in the world. This makes it particularly suitable as a tool for carbon sequestration. Given its fast growth rate, bamboo can be harvested regularly, creating a large number of durable products which store carbon over several years, in addition to the carbon stored in the plant itself. Over time, this means that bamboo can sequester more carbon than some tree plantations. This is particularly important when bamboo’s potential to create durable products is taken into account. Bamboo products are long-lasting, recyclable, and can replace a variety of emissions-intensive materials, such as PVC, steel, aluminum and concrete. When you combine bamboo’s potential displacement factor with the carbon stored in forests and durable products, over a period of 30 years bamboo can sequester enormous sums: up to 600 tonnes of carbon per hectare. As bamboos grow throughout the tropics in Africa, Asia and the Americas, they can provide a significant contribution to combatting climate change in the developing world. For this reason, bamboo can play an important role in countries’ climate change and reforestation programmes. Bamboo can also be a key part of climate change adaptation: providing a sustainable source of income and creating affordable, disaster-resilient housing. For more information about bamboo’s potential to combat climate change, please read here. To find out more about bamboo’s use as a source of renewable energy, click here.